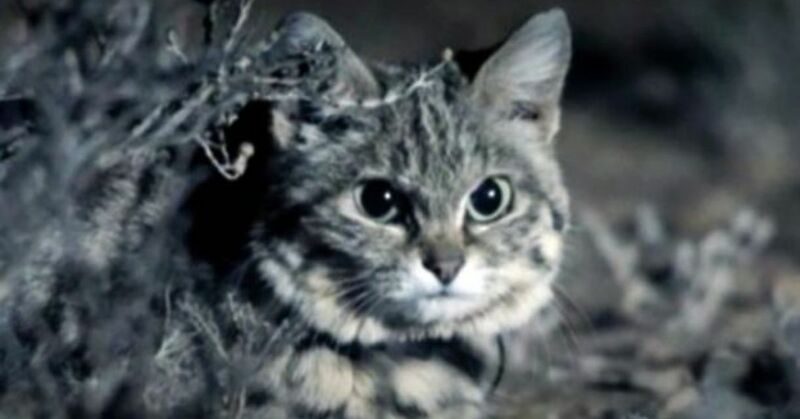 Africa's black-footed cat is so adorable you might be tempted to sneak it home in your carry-on luggage. Your tweetie bird might not be so thrilled with that idea, however. 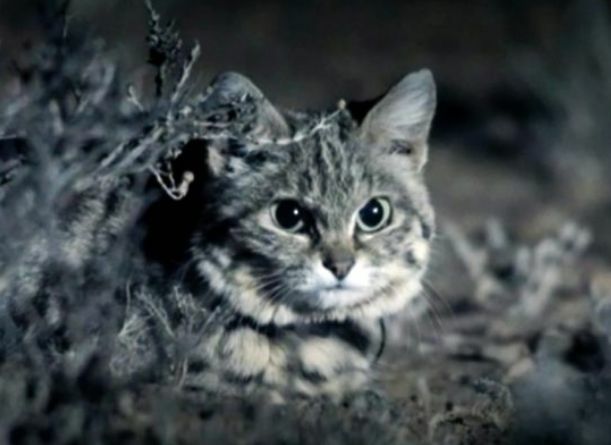 The black-footed cat, weighing in around four pounds, has the highest successful hunting rate of any cat in Africa. At a 60 percent kill rate, it's twice as good a hunter as a house cat (32 percent kill rate) and three times better than a lone lion (18 percent). 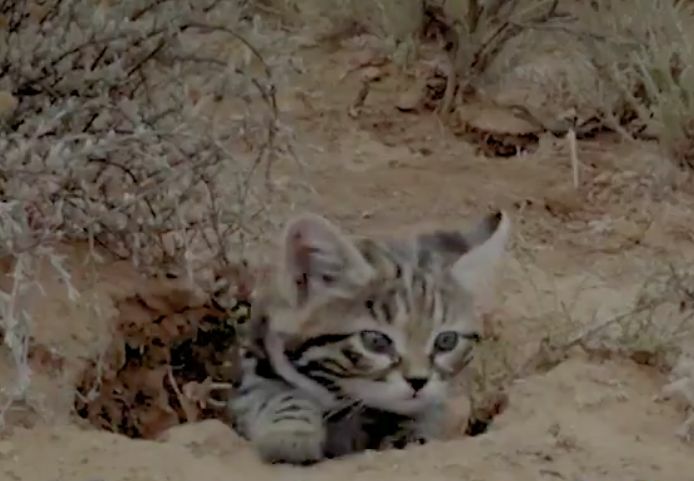 It may not be bringing down antelope or wildebeest, but the tiny, spotted feline strikes terror in the hearts of rodents across the savanna of southern Africa. The name comes from the creature's black paw pads. It's rare to spot one of these petite beauties, though, because like most cats, it is nocturnal and hunts at night. During the day they hole up in burrows created by other animals to escape the African sun. Their hunting prowess is attributed to their keen eyesight and compact build, which enables them to coil and pounce with remarkable speed and power. The BBC recently followed a female member of the species, whom it dubbed Gyra. The broadcast company filmed while she hunted to provide food for her kitten, who was waiting safely back in the burrow. Cameras also caught footage of the kitten doing what kittens do best: honing its hunting skills by "attacking" its mother. Shy and cautious by nature, it's a rare treat to see one in the wild. It may become an even rarer treat as their numbers are declining beause of poaching of their preferred prey species, poisoned bait, traffic accidents and predation by domestic animals such as dogs. They have been listed as Vulnerable on the International Union for Conversation of Nature's Red List of Threatened Animals since 2002. Fewer than 10,000 are thought to remain in the wild.